An object or point on which the sight of a weapon is laid for direction, or on which an observer orients his observing instrument. The point used by an aerial bombardier or pilot to determine where to release bombs, rockets, mines, torpedoes, and so forth. i. The point on the runway where a pilot aims to touch down. The marking is indicated in the illustration. ii. 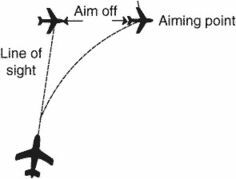 In air-to-air firing, the point at which the line of sight is directed when the gun is being laid in that direction. iii. In air-to-ground firing, the point at which the aiming index is placed to allow for wind velocity or movement of the target. Stare at the aiming point and the pin will automatically come to it. But lasers improved rapidly, resulting in an almost immediate introduction of "ballistic" reticles, with multiple aiming points for longer ranges. As such, the pilot successfully places the aircraft exactly 500 feet above the runway and precisely one nautical mile/6078 feet from the desired aiming point on the runway. Stabilized approaches: one key to flying a stable approach is standardization. But how can you standardize your approach when every runway is different? Aiming points typically replace the second touchdown marking group (next paragraph), but if big adjustments to the aiming point location are required, aiming points win out. Most hunters would agree with this vertical aiming point, but many might disagree with Randy's recommended horizontal aiming point. If it's a bright day, the reticle will be brighter; on a dark day, less light will be passed through to the aiming point. Amongst the scopes equipped with an integrated LRF the 4-12x42 Eliminator LaserScope developed by Burris is one of very few to provide automatic correction of the aiming point according to the measured distance and the ballistics of the chosen round. Soldier then picks a known distant aiming point, the further the better, stabilizes his weapon and activates his laser. The aiming point was a big arsenal right on the river. The tritium-illuminated reticle provides an aiming point even in total darkness. The pulsing beam made it difficult to focus on a precise aiming point.